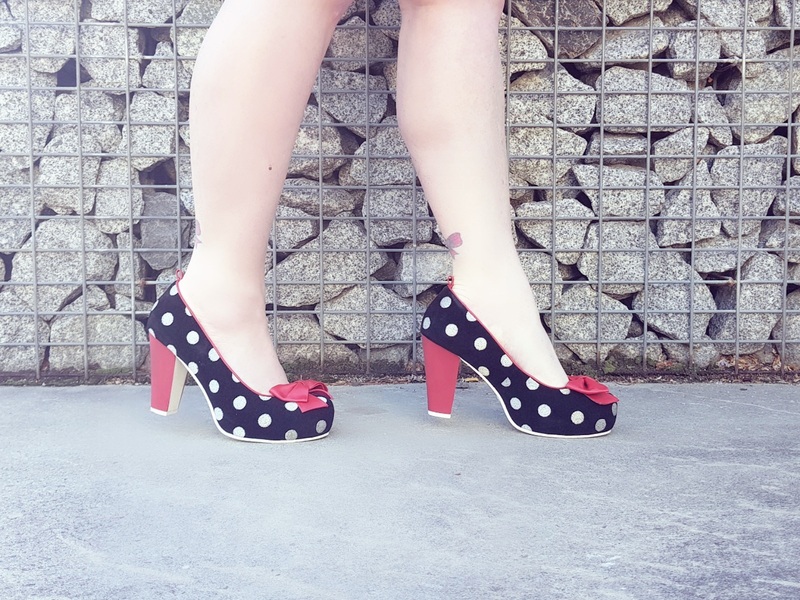 There is nothing I love more than a bright and playful pair of heels. 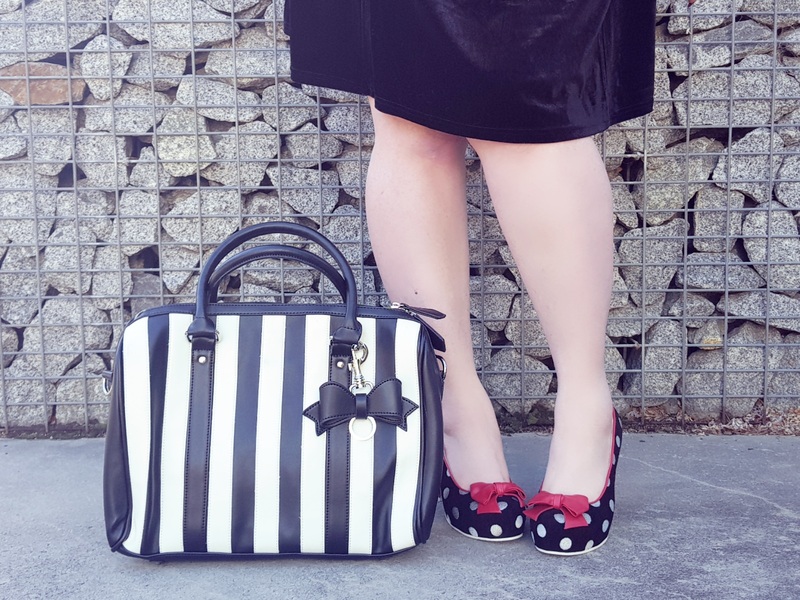 They complete an outfit, make me feel amazing and if I'm lucky are super comfortable without compromising on shape or heel height. The Angie P Dashing is quite possibly my new favourite long wearing high heel and dancing shoe. 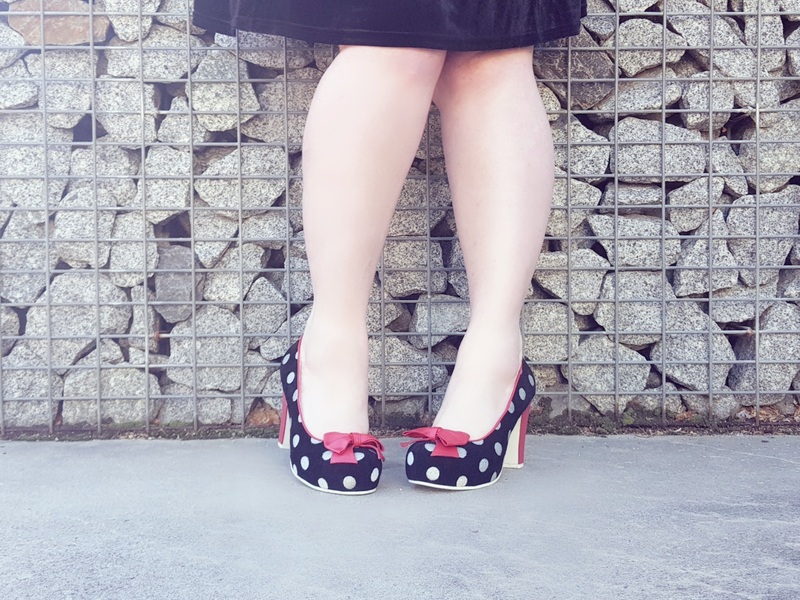 An adorable polka dot print with red accents on the heels around the edges and topped off with a red leather bow, this shoe is the cutest. With a heel height of 10cm and a hidden platform of 2cms this is an all day wear shoe and inside you'll find hidden cushioning for extra comfort. 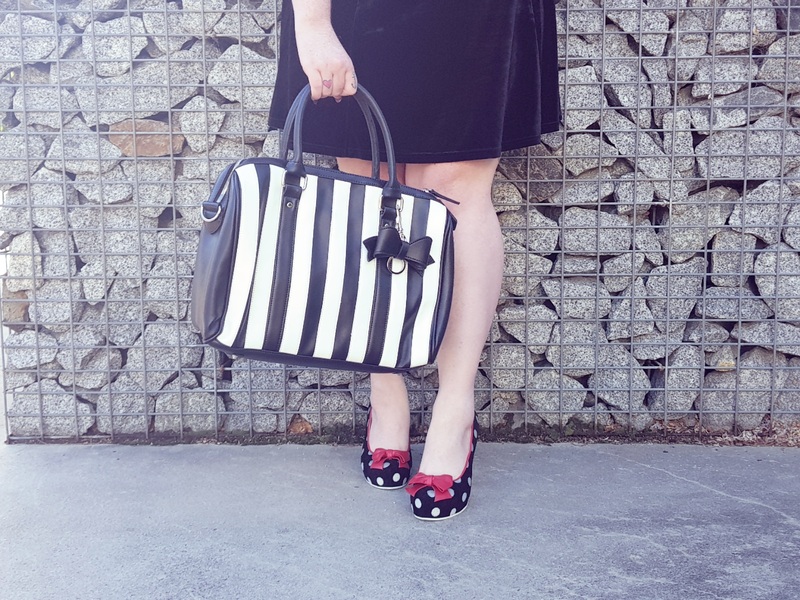 What I love most about these heels is the bold print and colour combination and the mix of textures. Leather, rubber and an almost flocked pattern make these a multi dimensional pair of shoes. That rubber base also helps when you are out dancing or walking in these as it's lightweight and so easy to walk in. Size wise I'm wearing a 41 which is an Australian 10. 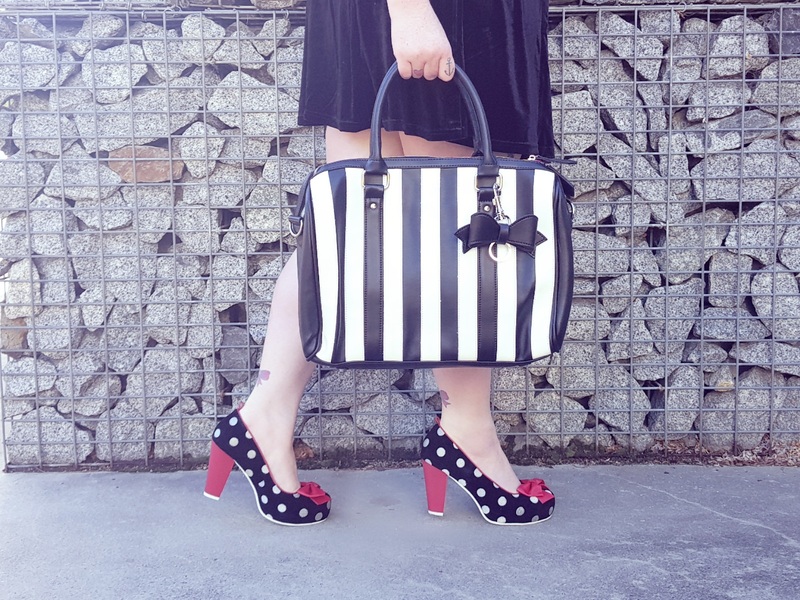 The Angie P heel is a such a customer favourite so there are plenty of prints and fabric options to choose from. These are just a small selection of the Angies on offer and you can find the whole range here with boots and open toe options. You will be spoilt for choice at Lola Ramona and your feet will thank me. With a variety of styles via the online shop and sold internationally via stockists you can pick up the perfect combo for you. They are so amazing to wear!! 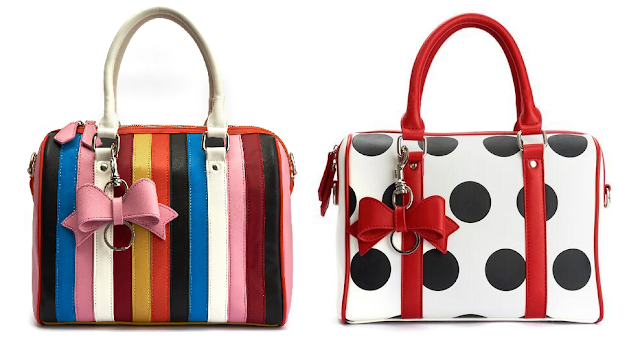 Aww this collection reminds me of the cute Minnie Mouse times of my teenage. Would love to team the footwear with a bright knee length one piece dress for a young evening hangout . The bag would compliment and complete the entire look off-course..! !